We have developed a passion and commitment to the world of kayak fishing. We specialize in traversing the Deep Blue off the east coast of Florida. From drift fishing the Gulf Stream to Vertical Jigging wrecks, we conquer it all - by kayak. When offshore we target species such as Sailfish, King Mackerel, Tuna, Wahoo, and Mahi Mahi. Inshore you can count on trophy Snook, Tarpon and monster Jacks. What people don't know is we also have a very unique freshwater fishery for Peacock Bass and Clown Knife fish. It's the only place in North America where they can be caught. Kayak fishing is a wonderful way to fish in South Florida and with DEEP BLUE we can help you knock off a few species on your bucket list! This is a true don't miss fishing adventure. Videos uploaded weekly! Stay up to date on what we are currently catching! Make sure to Like and Subscribe to our channel so you don’t miss a catch! 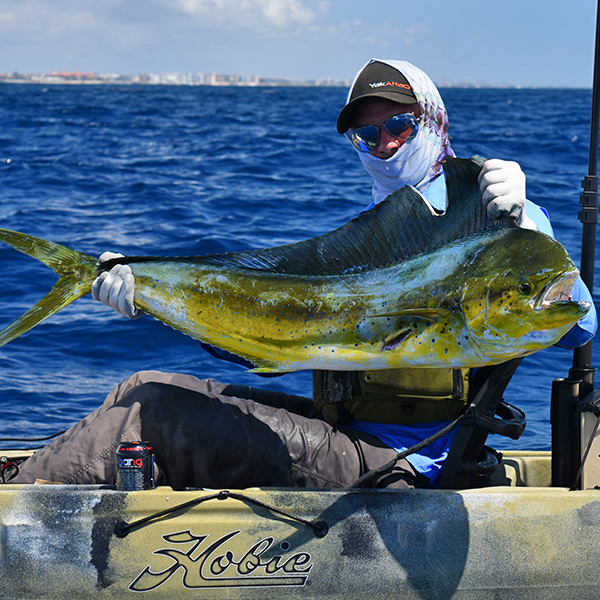 4/14/19 – Mahi Mahi have ARRIVED! Eric From Alabama went 2/2 on Mahi and 1/1 on Sailfish. Primetime offshore kayak fishing is now. Book your trip today! Our YouTube Channel Click Here! Deep Blue Kayak Fishing Charters provides you with an exceptional opportunity to target all types of fish species. But you are not just getting an amazing kayak fishing adventure, you're getting the expertise of two professional and offshore kayak tournament anglers as your fishing guides. Both Matt and Eric have competed and placed in the Extreme Kayak Fishing Tournament Series, but now a days with averaging near 350 guided trips a year, their main focus is offering as many charters as they can to their clients! Kayak fishing in the offshore waters of Boynton Beach, Boca Raton and Palm Beach can offer you an array of target species to catch. These can include Sailfish, Wahoo, Bonito, Blackfin Tuna, Mahi Mahi, Cobia and various Snapper & Grouper...even shots at migrating Tarpon! Also, lets not forget about our amazing inshore fishery as well as our exotic Clown Knife Fish and Peacock Bass! 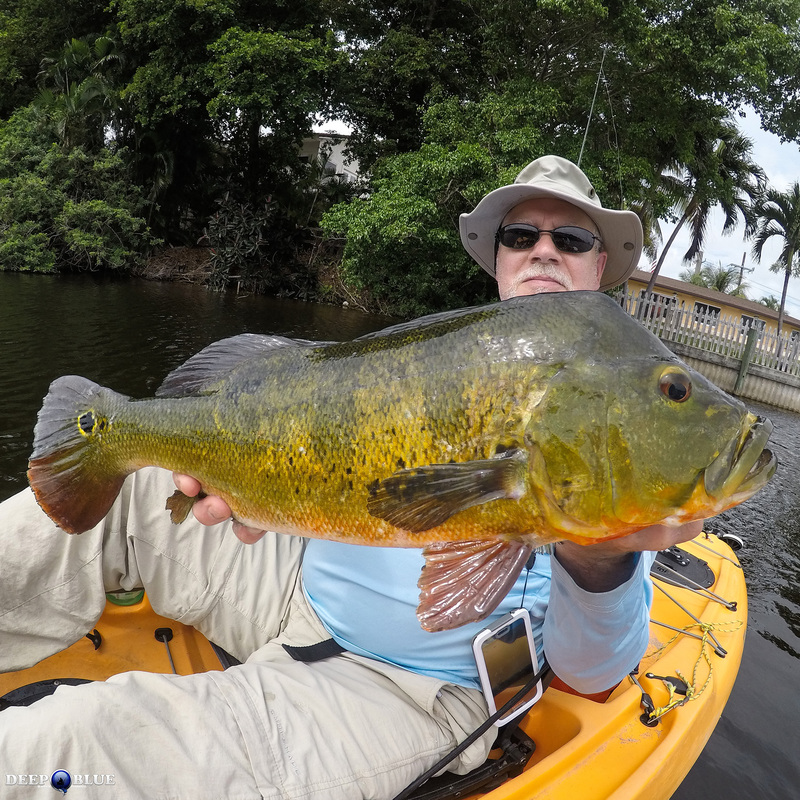 In short - there is always something to catch with a Boynton Beach, Boca Raton, Palm Beach kayak fishing charter with the Deep Blue Kayak Fishing Team. Kayaks have come a long way, and so has this team of experts. Reserve your spot today. There is absolutely nothing like landing a Wahoo, Billfish or monster Tarpon from a kayak. Talk about something you will never forget! 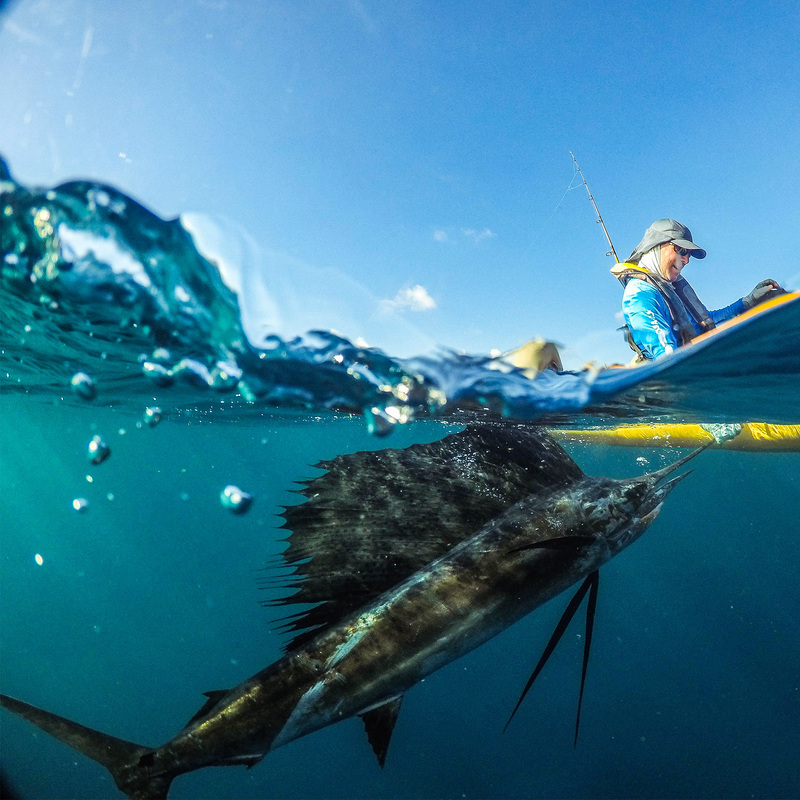 The guides at Deep Blue Kayak Fishing have honed their offshore and Inshore kayak fishing skills that they now proudly offer to clients. March & April 2019 Highlight Catches!